Ellory's love for yoga began about 7 years ago when a friend brought her to her first class at The Yoga Loft. From that day, she was hooked. After practicing regularly for many years, Ellory completed her training in the first Yoga Loft 200hr Teacher Training with Vito and Larisa in April 2017. 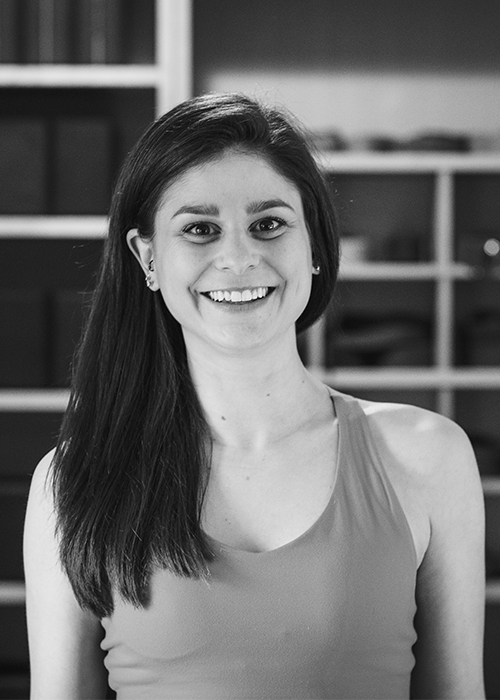 Ellory officially joined The Yoga Loft team in November 2017 as Studio Manager. We were thrilled to find someone (from within our Yoga Loft family) with a passion for yoga and a creative marketing background. Through her practice, Ellory has found that yoga has not only been a tool to help her grow and strengthen physically, but mentally as well. Her passion to share that mental clarity with others has lead her to study with many different instructors across the North Shore. Continuing her yoga education, she is currently studying meditation and stress relief for anxiety to incorporate into her classes. Ellory’s classes are a mixture of breath-work, meditation and movement. Her Lunch Time Vinyasa is a playful 45 minute class with a focus on awakening the body in a mid-day stretch. Ellory’s Slow Flow & Meditation class is a delightful mix of gentle and restorative yoga connecting movement and breath with meditation.